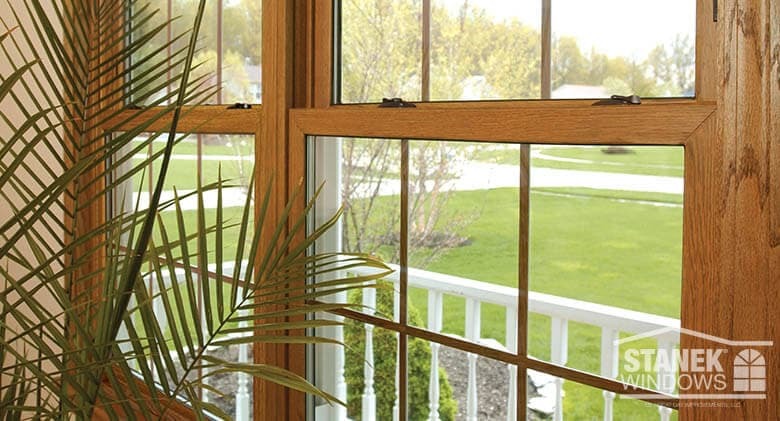 Stanek double-hung windows combine traditional beauty with modern performance, making them a great choice for your home. They are beautiful, durable and provide maximum ventilation. 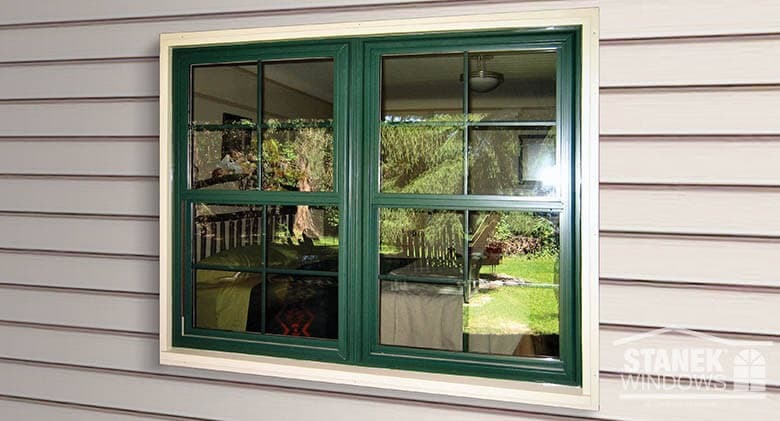 Featuring both upper and lower sashes that open and can tilt in, double-hung windows are easy to clean and offer several options for maximum comfort. 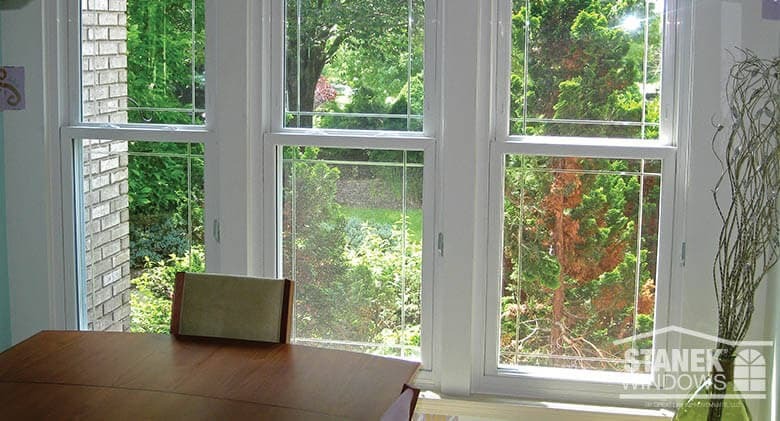 Double-Hung Window White, double-hung windows with modified single prairie metal grids. 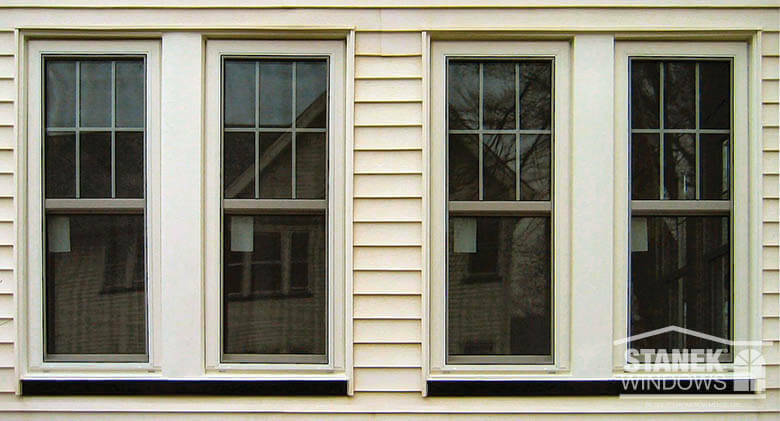 Double-Hung Window Tall, double-hung windows with colonial grids in the top sash only. Beige exterior color. 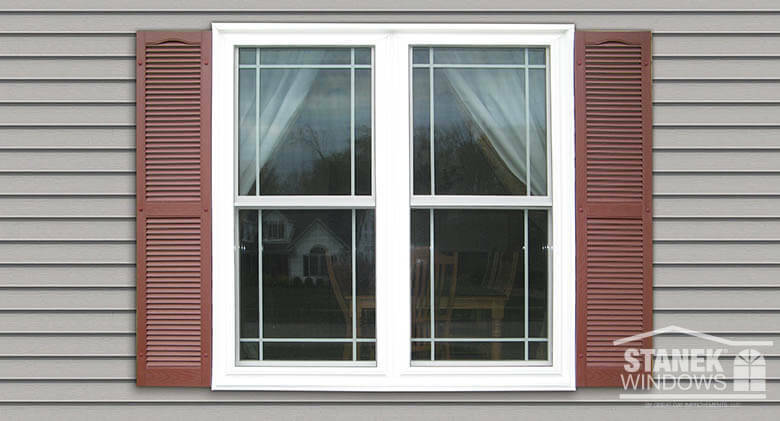 Double-Hung Window Double-hung windows with colonial grids in the top sash only in white interior color. 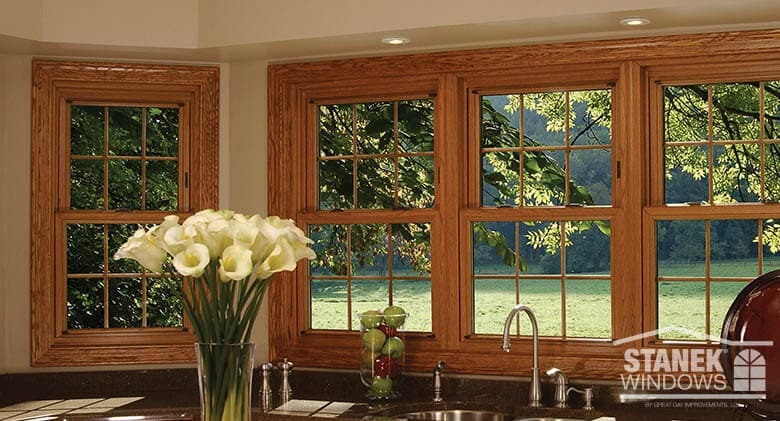 Double-Hung Window Double-hung windows with colonial grids in medium oak interior woodgrain finish. 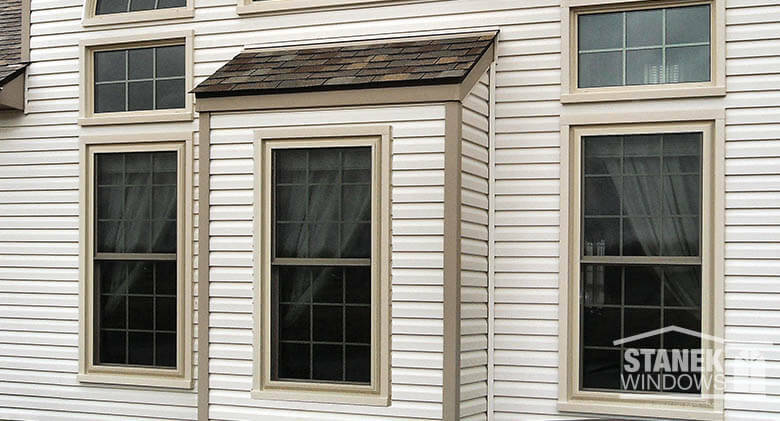 Double-Hung Window White double-hung windows with single prairie shadow V-groove and a custom-shaped window above. Double-Hung Window White, double-hung windows with colonial grids. 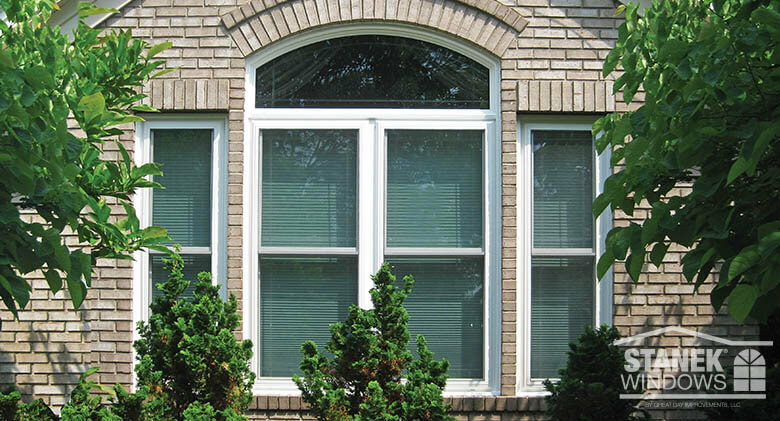 Double-Hung Window Beige, double-hung windows with colonial grids and fixed windows above. 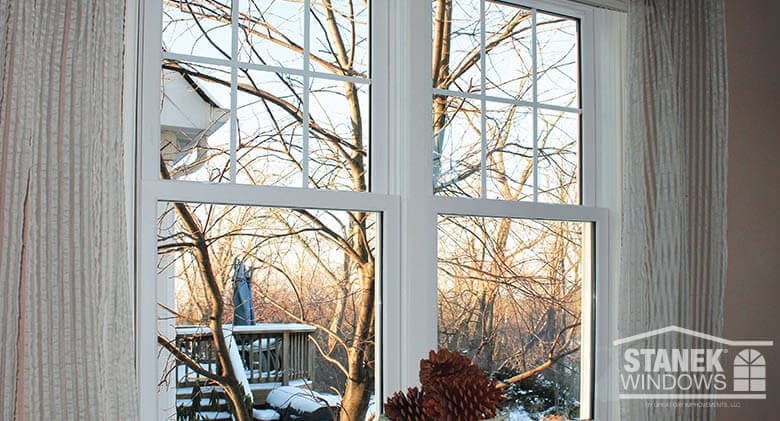 Double-Hung Window White, double-hung windows with single prairie pattern shadow V-groove. 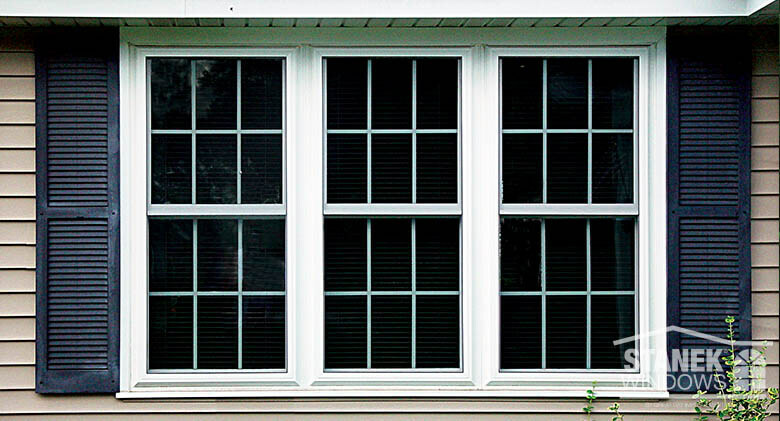 Double-Hung Window Two double-hung windows mulled together feature colonial grids. Hunter green exterior color provides a pop of color. 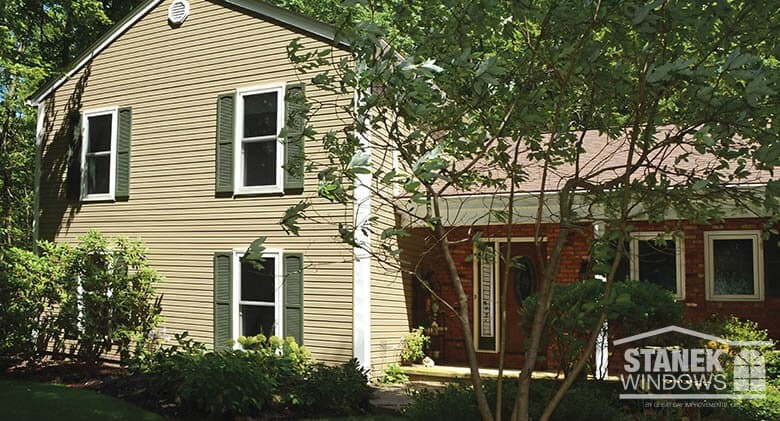 Double-Hung Window White, double-hung windows with hunter green shutters suit this home in the woods.